Smartphones are getting bigger and bigger, especially for Android phones. However, even if mobile phones of today are increasingly becoming gigantic in terms of screen size, there are moments you need to view things on a much larger screen, just like those on your computer. Did you ever want to share pictures on your PC without uploading them? Isn’t it amazing if you could play your favorite android mobile games straight on your computer? Or how about displaying your presentation from your mobile onto a larger screen? The answer is definitely yes. It might be much more convenient and practical to mirror Android screen to PC. Regarding the tools that you can use to show your Android screen to PC, discover some of the most efficient yet free ones below. 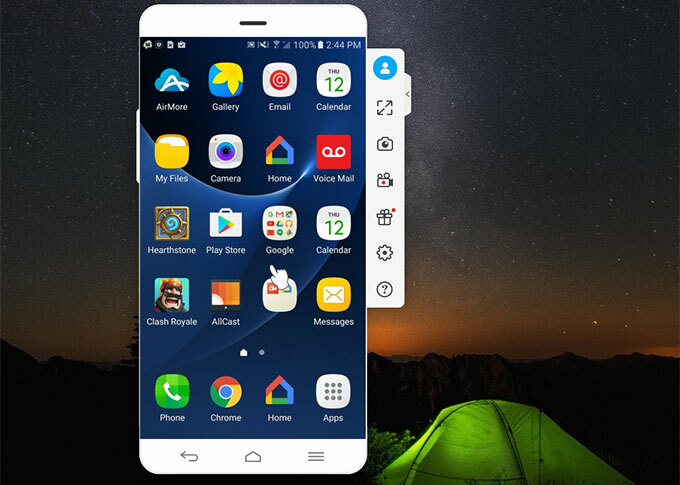 With this application, users are able to stream Android screen to PC and control Android from the desktop with ease. It’s feasible to capture and record the phone screen on PC while employing this app. Suppose you are displaying presentation from your phone to the projector in the meeting or class, it’s possible to use keyboard and mouse to edit or mark the key points at any time you want. Download this program on the desktop and double-click to launch it. Plug in the USB cable to connect your phone to PC. The software will be installed as long as you allow it. A window shows up on your phone. Just tick “Don’t show again” and hit “START NOW”. 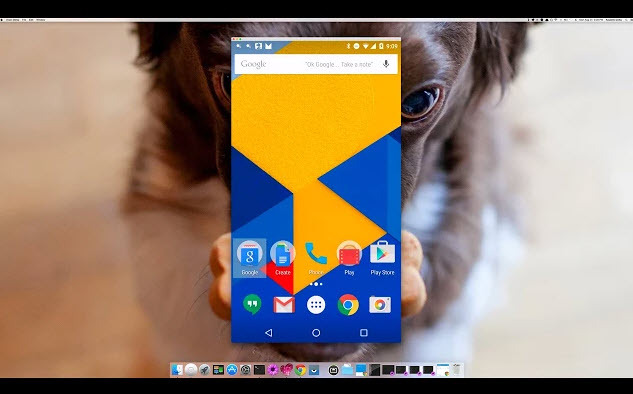 Naturally, Android phone screen is cast to your desktop. Two ways for connection: via cable or the same WiFi. Allow users to control Android from PC. Users need to download the software on the desktop. Download and install the AirMore app on your mobile. Go to the AirMore web on your browser. Then scan the QR code shown on the screen or choose your device name in Radar to connect phone to PC. 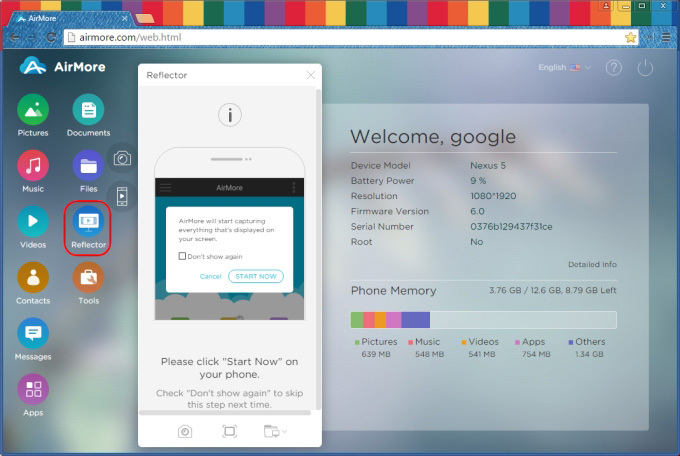 Once connected, click on the “Reflector” icon on the main interface of the browser. Then click “START NOW” on your mobile phone. Now, your Android screen is mirrored on the computer. 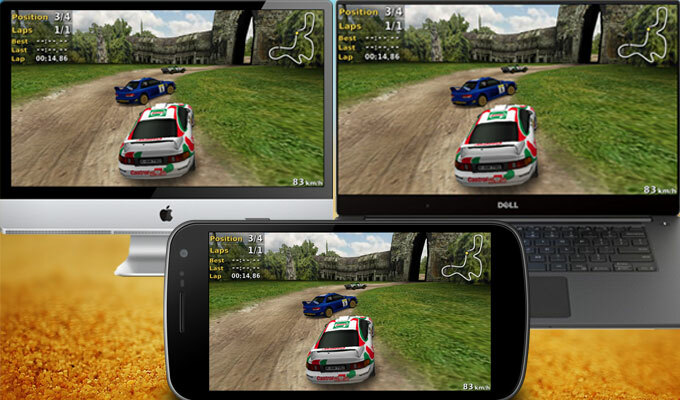 Simply stream or display whatever happens on your mobile device. Tips: To ensure the successful mirroring process, please first make sure that your Android phone’s operating system is running 5.0 or higher. And then connect your PC and Android phone to the same WiFi network. More than just a screen mirroring app, AirMore is also a professional mobile device manager that can transfer phone data to the computer such as videos, photos, apps, music, documents and much more. Even much better, with it, users can send messages, make phone calls, view recent notifications or edit contacts directly on the web. Another extra feature is that you can take mobile screenshots in just one click, no more pressing of a button or doing combination key presses. Fully compatible with Windows and Mac operating system. AirMore is 100% free to use with no limitations. Extremely easy to use even for the newbie. Work for all popular browsers such as Google Chrome, Firefox, Safari, etc. Depending on the stability of your Wi-Fi network, you might encounter lags occasionally. Install Vysor chrome app which is available on the Chrome web store. Make sure to enable the “USB debugging mode” on your Android phone by going to “Settings”. Connect your Android phone to PC via USB cable. Once connected, open the Vysor app on your Chrome. Click “Find devices” and select your Android Phone. A notification will appear on your mobile device and click “OK” to allow the RSA fingerprint. Your android screen should appear on a new Chrome window. No installation needed even on your phone. Totally free to install and to use. Available on Mac or Windows operating system. Limited only to Chrome web browsers. Needs a USB cable to create connection. Device compatibility is not known until tried. The plugin itself is still in beta mode which is prone to technical glitches. Users are reporting distorted images. There are many ways to mirror Android to PC, some ways require installation while others are straight on the expedient to use. Vysor is really simple, no fuss and very lightweight. But then again, it is still in beta phase and you need a USB cable to mirror Android on PC. However, with AirMore, it gives you the wireless freedom to mirror your phone without cables, and it comes with extra features such as data transferring as well as taking mobile screenshots all for free. 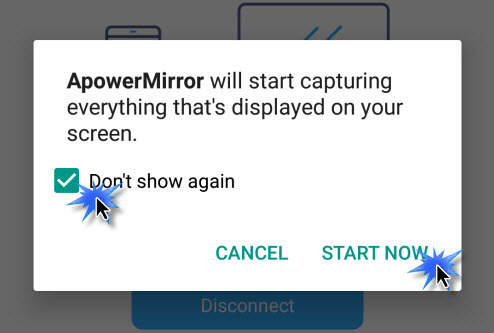 While if you focus on the function in mirroring and controlling, ApowerMirror seems to be the best choice. Rating: 4.4 / 5 (based on 28 ratings) Thanks for your rating! Completely wrong about vysor being free. To simply even go fullscreen, you have a monthly membership. Then to go above 500kbps video, once again. You have to pay for a monthly membership. any suggestion for android 4.0 without USB cable? Hi, you may try this Android Recorder application: https://www.apowersoft.com/android-recorder. But I'm not sure if it will work for you. Yes. Actually, AirMore is a web-based app. It is the browser that matters to this app, not the computer system. It is totally free. You don't have to activate it.